The Algonquin Resort is a resort hotel in the small coastal town of St. Andrews by-the-sea, New Brunswick. We were on our way to Maine from Moncton so we decided to stop in for a night, since neither one of us had ever stayed there before. It’s a very famous hotel in those parts and one of the most photographed buildings in the province. The hotel has changed ownership several times in its history and is now part of the Marriott’s Autograph Collection. Good news, if you collect points, like we do! We actually got this stay for free, which was a nice bonus. The hotel first opened in 1889, but suffered a major fire in 1914 and was rebuilt. Over the years, there have been some expansions and renovations. Because of its age, the rooms are small. However, they have done a good job of maximizing the space while keeping the original charm with all the modern amenities. It is an exceptionally clean for a hotel that is over 100 years old. There is a gorgeous porch along the front of the hotel. It’s the perfect spot to sit and have a drink or two on a warm summer evening. There are also plenty of lounging spots on the main floor for days when the weather isn’t cooperating. Traveling with the family? There’s something to entertain everyone. There is an indoor pool open year round and an outdoor pool open during the warm months, a spa for those looking for some rejuvenation and also New Brunswick’s top rated golf course. Don’t want to leave your furry friend behind? Good news, dogs are also welcome everywhere at the hotel for a fee of $35 per stay, and everywhere in town. It is one of the most dog friendly places that we have ever been which can make you miss your fur-babies back home. There was also a dog behind the front desk who appeared to call the hotel his home. We did not have the chance to eat at any of the restaurants on the property. There were too many restaurants that we wanted to check out downtown. We have heard great things about their food, especially their Sunday Brunch. 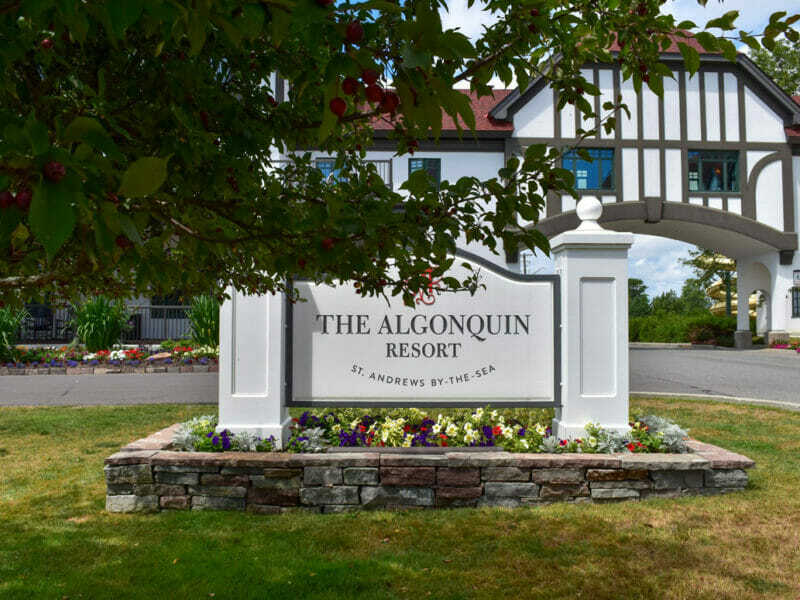 The Algonquin Resort is very famous with the locals, therefore many local brides use this location for their wedding. 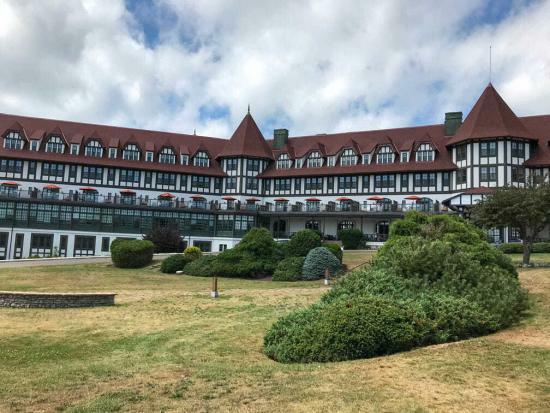 Most noteworthy, the Algonquin Resort is said to be one of the most haunted places in the province. From what we have read, room 473 is the most haunted of the resort. Apparently, crying can be heard coming from the room and since we were staying just a few doors down the hall we were hoping for some excitement. Sadly, we didn’t hear anything. There are also claims of apparitions and of some electrical equipment going crazy. Would you stay in a hotel that you heard was haunted? 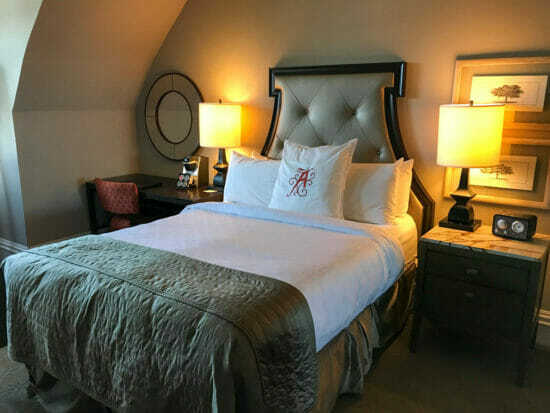 Certainly, the Algonquin Resort is a great place to stay while in the St. Andrews area, ghosts and all! During the summer months, St. Andrews comes alive and is a great place to vacation.